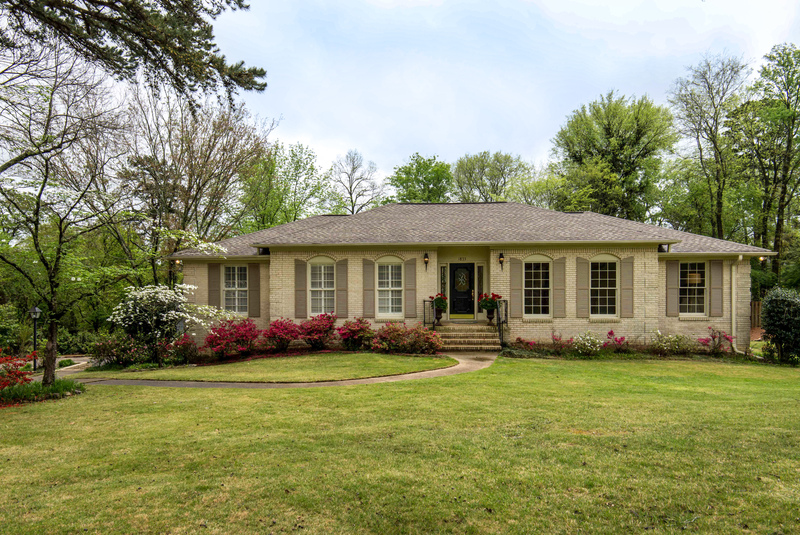 Vestavia East Elementary – Great curb appeal and fabulous location! 4 bedroom, 3 bathroom sits back on a private corner lot and is convenient to 31, 280, Vestavia schools, shopping, restaurants, Brookwood, Homewood, Mountain Brook, UAB and downtown! The kitchen has been updated and features NeedCo custom cabinetry, Alabama White marble countertops, a panel-front Bosch dishwasher and stainless appliances. The kitchen is open to a wonderful family room with a fireplace. The foyer opens to a large light-filled dining room, and there is a study/living room next to the dining room. 3 bedrooms and 2 bathrooms are on the main level. Downstairs has a bedroom, a bathroom, a den with a fireplace, a bonus room, plus a two-car garage. Other special features include a relaxing screened porch off the kitchen main-level laundry, new carpet in bedrooms, beautiful hardwood floors, a patio/grilling area, lots of level lawn play space, an invisible fence, over a half acre lot and much more!